We’ve already introduced you to the basics of experiential marketing and highlighted some of the best experiential marketing campaigns. In this article we talk about approaches you can apply to ensure the success of your experiential marketing event. No matter what experiential activity you choose, you need to track your campaign’s outcomes so you know what works and what doesn’t work for your brand. We’ll provide you with a list of the most efficient experiential marketing metrics and show you how to measure your experiential event with technology. One of the pitfalls that marketers can face is evaluating the results of their promotional events. Even if your experiential event gathers lots of visitors, that doesn’t automatically mean that they’ll turn into qualified leads. To guarantee the profitability of your EM campaign, you need to create a detailed event marketing timeline and select the appropriate metrics corresponding to your business goals. To help you out, we’ve listed the main ways you can measure the impact of an experiential campaign. Here they are. The main objective of any marketing campaign is to satisfy attendees Attendee satisfaction is quite tricky to measure, as satisfaction can be determined by numerous indicators. Therefore, you need to come up with your own specific indicators by establishing your campaign goals. Do you want your event to simply entertain attendees or do you want them to learn something new about your product? One of the most common ways to estimate your attendee satisfaction is to calculate the Net Promoter Score. You can see the formula below. How much content was created at your event by consumers, influencers, and the press? Social networks can be a valuable source of information. Likes and shares can help you define the level of customer engagement with your campaign, whereas reactions to the event can serve as unfiltered feedback. Social media lets you find out what people are actually thinking of your event. Gross revenue is the total sales revenue generated from your campaign before any deductions such as sales discounts. This metric shows how your marketing campaign influenced your selling ability. The cost to revenue ratio shows you the efficiency of your event spending. Put simply, you can evaluate the quantity and quality of resources you used for your experiential campaign and determine a particular resource helped you achieve your marketing goals. 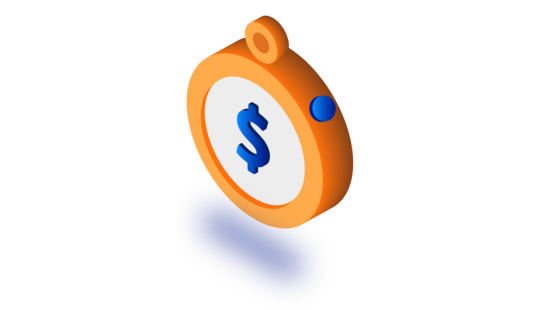 Customer acquisition cost (CAC) indicates how much money you spent to get a new customer. To calculate this ratio, divide the total cost of your campaign by the number of new customers you got thanks to the campaign. Suppose you spent $1000 on an experiential marketing event and generated 100 new leads. In this case, the customer acquisition cost would be $10. The conversion rate demonstrates the percentage of leads from the event who actually take the desired action: make a purchase, order your service, or do something else. The conversion rate helps you identify how well you attracted the right people to your event. Beyond these KPIs, you can also track the success of your experiential marketing events with technology solutions. Seventy-five percent of event professionals admit that they’re lacking enough data to build precise attendee profiles. Using modern technology, event professionals can fill in this missing information. Analytics tools let you obtain more accurate data about your experiential events and track numerous metrics simultaneously. 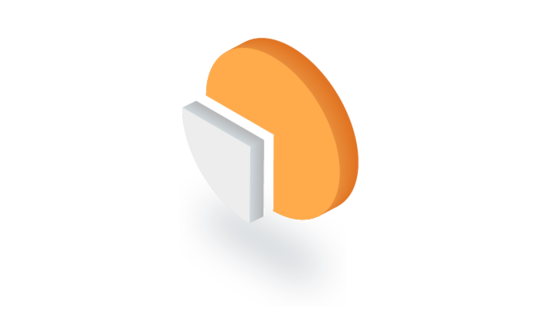 We’ve created one tool of this type called Exposure Analytics. 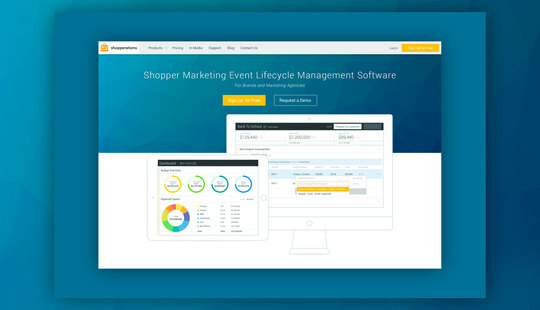 Exposure Analytics is a platform that supports real-time event analytics for offline marketing. It connects with video cameras and Wi-Fi sensors to collect, process, and provide information on how customers interact with events. The platform offers visualized heatmaps and customer flow illustrations coupled with detailed statistical reports. 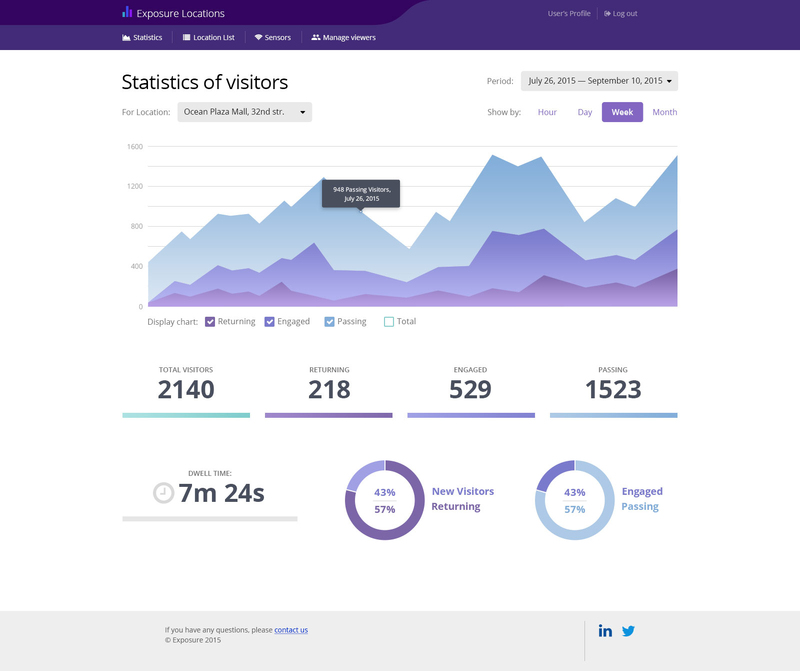 The Exposure Analytics provides you with a convenient dashboard displaying new, returning, engaged, and passing visitors at your event. Now you know some formulas and tools to estimate the effectiveness of your experiential events. But you still need to know how to guarantee the success of your next event before it happens. Here are our top six tips for successful experiential campaigns. There can be a huge gap between what you think your customers want and what they really want. Thoroughly examine your target audience, their needs, and the best possible ways to reach them. Offer your customers what they want. You should also think over the things you’d like customers to associate with your brand and build your event around those things. ╳ Fail: Trying to promote its new show, Man in the High Castle, Amazon decided to adorn New York subways with modified versions of the Nazi coat of arms and the flag of Imperial Japan. But Amazon didn’t account for New Yorkers’ finding these materials offensive. The campaign was hastily removed. ✔Good: For a few weeks, Guinness brand ambassadors dressed in Guinness-branded flight attendant uniforms visited UK bars and gave customers prizes ranging from passport cases to keychains. One lucky person per night could win the ultimate prize ‒ a free trip to Dublin with four friends by private jet. To take part, customers needed simply to buy a pint of Guinness and shake a prize-generating tablet to determine their prize. Guinness smartly approached the needs of its core market. People already were in bars and were probably going to buy beer anyway. If they bought a Guinness, they got a prize as well. Creating an emotional connection is the right way to stay in the minds of your customers. But you need to ask yourself what feelings you want to evoke. Do you want to make people happy, inspired, or ready to take action? No matter the aim of your experiential marketing campaign, it should leave a strong impression resulting in lasting relationships with your customers. ╳ Fail: To promote Dr. Pepper, Cadbury Schweppes decided to organize a treasure hunt across 23 US cities for a gold coin worth $1 million. The company, though, made one horrible mistake. Cadbury Schweppes gave participants a clue that the coin was buried in the 347-year-old Old Granary Burying Ground in Boston where some of America’s greatest revolutionary heroes are resting. The cemetery was closed because of fears that players would dig up 5,000 graves. Cadbury Schweppes apologized for its graveyard stunt. ✔Good: Lean Cuisine launched its #WeighThis marketing campaign centered solely on weight loss. The company created a gallery of scales in New York’s Grand Central Station. But instead of measuring weight in pounds, women were asked to measure themselves in terms of their accomplishments, such as caring for 100 homeless children or going back to college at 49. The entire #WeighThis campaign got over 204 million impressions. You need to help your customers spread the word about your experiential marketing campaign. Provide your customers with digital elements they can share on social media. For example, you can record a video. WestJet recorded a video for its experiential campaign, called Christmas Miracle, that got almost 50 million views. The campaign focused on the dreams of travelers who fly with WestJet airlines. Travelers had a chance to tell a real-life Santa Claus what they wanted for Christmas at their departure airport and get everything from large-screen TVs to socks and underwear at their destination. A branded hashtag is another element that can help you create buzz on social networks. Keep your hashtag short, simple, and catchy. A unique hashtag both encourages conversation about your event and helps you track participants’ engagement. When people start seeing tweets and retweets and posts that have a certain hashtag ‒ even if they don’t know what it’s about ‒ that hashtag will make people interested in it and go to the event. Technology is often a big part of experiential marketing, helping to create a truly immersive experience for customers. Marketers experiment with virtual and augmented reality, 3D printing, and artificial intelligence. 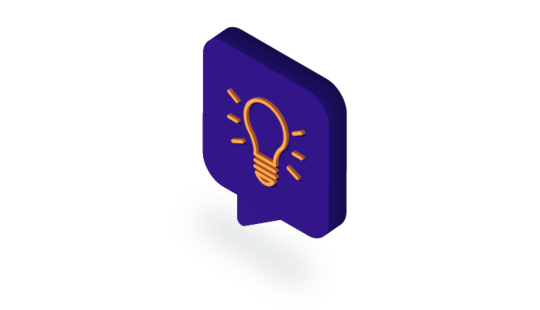 Let’s look at each experimental marketing technology in more detail. Mastercard and Swarovski partnered to enhance the shopping experience for their customers. 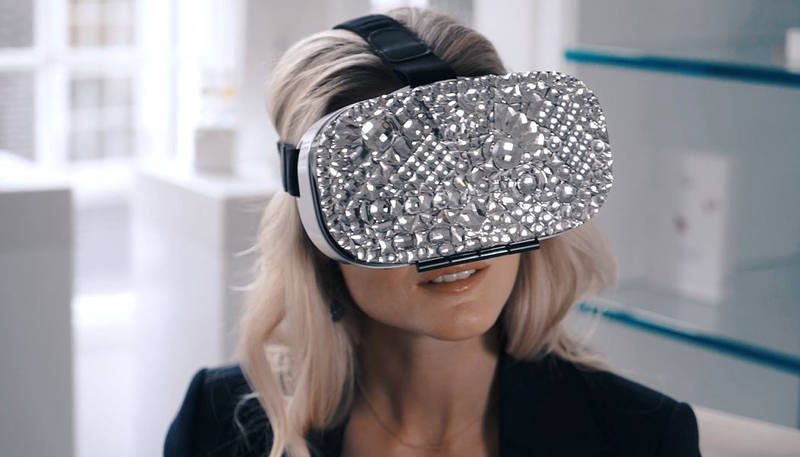 The two companies came up with a crystal-decorated headset allowing customers to visualize Swarovski pieces in various spaces. Once a customer virtually examined jewelry, they could purchase it in-app using their Mastercard. Wearing a headset, customers can examine jewelry pieces and get the information about their cost, as well as details about the manufacturing process. Companies also use virtual and augmented reality to add a game component to their experiential marketing events. M&M’s set up an augmented reality games arcade in New York’s Times Square to promote its new range of caramel chocolate candy. Passersby could use their phones to turn static billboards into vintage arcade games. Other companies that have used games include Verizon and Snapchat. These companies teamed up to create a treasure hunt. Customers in select cities were able to download the scavenger hunt app, follow the clues, and ultimately win one of 236 iPhone 8s. Oreo collaborated with Twitter to offer customers customized snacks based on real-time data. Customers could select a type of Oreo corresponding to the most popular hashtags on the internet. For example, #SXSW stood for vanilla and chocolate wafers with orange and white cream. 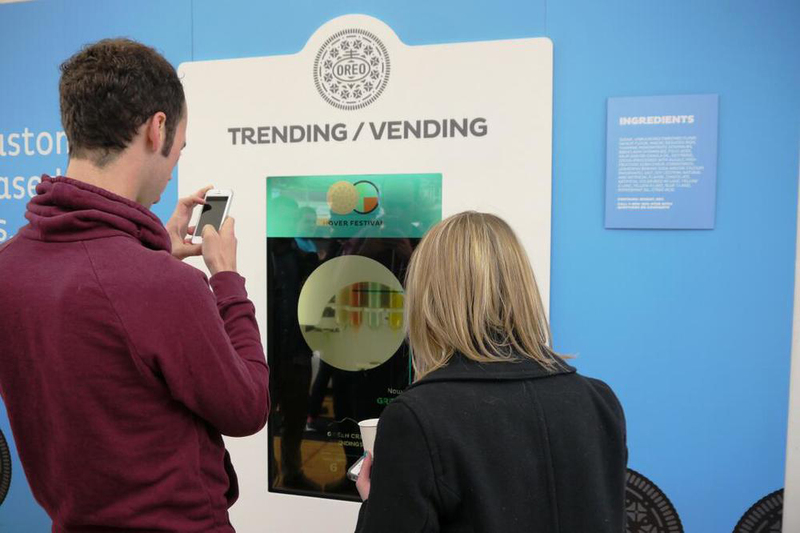 Customers could receive their edible 3D-printed Oreos within two minutes via vending machine. Users could design countless custom cookies based on Twitter trends, print those cookies, and enjoy them with a glass of milk. Livestrong, a US non-profit supporting people affected by cancer, created a Chalkbot. This robot let people from anywhere in the world send messages of encouragement for cancer patients to be printed on the roads of the Tour de France. 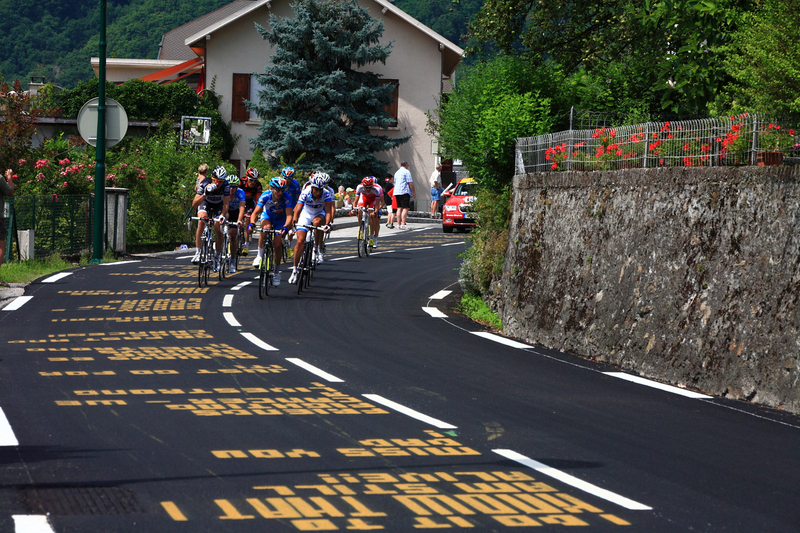 Chalkbot sprayed a liquid chalk mixture onto pieces of the road about eight hours ahead of the Tour bikers. Even if you’re extremely excited about your experiential marketing ideas, be sure to evaluate the advantages and risks. And don’t endanger your customers’ lives. Test your ideas on a small audience first and test their response. ╳ Fail: To promote the movie Mission Impossible III, Paramount Pictures equipped 4,500 LA Times newspaper racks with small red wired devices. When a person opened the device, it played the Mission Impossible theme. Newspaper buyers, though, didn’t understand this stunt and started calling in bomb reports. The Los Angeles County Sheriff’s Department even showed up to rescue citizens from a so-called bomb. Paramount was forced to pay a $75,000 fine for negligence. ✔Good: Heineken played a risky game with its customers as well. Heineken tricked more than 1136 AC Milan fans to visit a philharmonic orchestra concert instead of watching the largest match against Real Madrid. After 15 minutes of listening to classical music, fans saw the pitch on screen and were rewarded with Heineken beers. Whereas the Paramount bomb prank was criticized by the public, the Heineken campaign achieved success. The event was broadcast live on Sky Sports to 1.5 million people and shown to 10 million viewers on local news channels and MTV news the next day. Partnering with creators like artists and musicians can make your experiential event memorable and relevant to your target audience. Think of artists who are recognized within the region where you’re trying to target customers. Working with Chris Cheung, a mixed media artist, Nike developed an interactive sound installation. The installation reflected vaporization through a sound experience. The campaign advertised the brand’s VaporMax technology for the Air VaporMax sneaker. Nike is not the only company that has used music to promote its products. W Hotels launched its own traveling music festival. The three-day event featured top musicians such as Mike Posner, Bebe Rexha, and Cee Lo Green. Refinery29 has gone even further in using art for promotion, hosting the 29 Rooms installation during New York Fashion Week for the past three years. This installation has been full of funky works like a carousel with unicorns and oversized beauty products. We launched 29Rooms three years ago for our 10-year anniversary. We wanted to create a way to take our digitally-native brand and bring it to life. We’ve provided you with a solid list of tips to make sure that your experiential advertising campaign brings visible benefits. Keep them in mind while designing your experiential strategy. And, of course, be creative about everything related to capturing your customers’ attention. Subscribe to our blog to get even more interesting ideas on this topic!